I have to be honest here. I wasn’t a fan of Mortal Kombat 9. I didn’t care for how stilted the fighting system felt, I didn’t much care for the way most of the characters played, and I also didn’t find much enjoyment in the game’s substantial story mode. It was a game that I just could not get into, so when Mortal Kombat X was revealed and gameplay demonstrated a more fluid fighting style, my interest was rekindled. Now that the game is available on store shelves and digital shops, I can say that I am truly not disappointed. 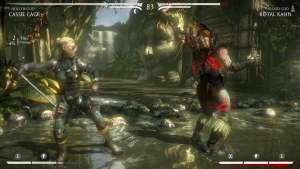 Obviously, Mortal Kombat X is a fighting game, but it also comes with a number of additions that add a considerable amount of variety to the gameplay. 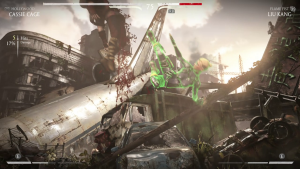 The Story mode will take you through a 20-year span of time where Earthrealm battles the forces of Quan Chi and Shinnok, who as one might expect, want nothing more than to take over everything. It’s a story full of twists, turns, and intrigue, but I ultimately found myself slogging through the story mode rather than enjoying it. Much like its predecessor, the twists are predictable and the writing can be cringe-worthy at times. Despite that, the story mode does give you a good understanding of the current world of Mortal Kombat. It may not be up there with the literary of film greatness but it doesn’t need to be. All the story has to do is get you to believe in what’s going on, and despite its flaws it does manage to do that. I slogged through to the end because I wanted to see how it concluded. I’ll never replay it, though. Once the story has been set aside, Mortal Kombat X starts to come into its own. You get a brief hint of what’s going on when you first boot up the game and are given a choice of factions to join. The Faction War is a brilliant way of tying everything in the game together. Playing through the story, towers, or online can give you faction points which help your faction’s standing. Each faction war lasts seven days. In that time there are daily challenges to complete to earn more points. Some of them are easy, like landing a certain number of sweeps while others are more difficult, like taking down an Assassin. Whether you play offline or online, you’ll gain faction points. That is, as long as the server is up. The NetherRealm servers have been a bit spotty. This is a problem, since one of the offline modes, Living Towers relies on the server to fetch the current list of available challenges. These present you with different match conditions to fight through and change up the gameplay in some pretty radical ways. If the server is down, you won’t be able to contribute towards your faction’s war effort either, which is a real bummer. NetherRealm have put together a really compelling metagame to tie the main game together, but at the moment, it’s not quite reliable. When the online servers do work, you’ll find a number of different modes of play. There are lobbies where you can go in and hang out and fight other Kombatants, traditional versus matches, King of the Hill, Tower Battles, and others. Asyncronous modes like Tower Battles, where you and your opponent compete for a high score against the AI work fine over Wifi, but Synchronous modes will definitely benefit from a wired connection. 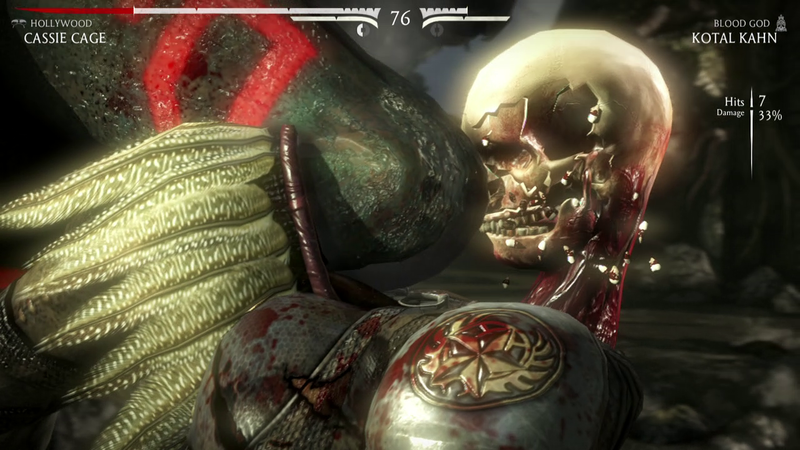 Mortal Kombat X‘s biggest success is its core fighting system. This is a good thing, since it’s a fighting game and if they had gotten that wrong there would be very little point in continuing to play the game. Since Mortal Kombat 9, the fighting has been sped up a little bit. The controls have also been tuned and feel more responsive. Frame locks (moves that must finish their animation before any other move can be executed) are much fewer now. Most moves can be canceled into as well. You can no longer Dash Block your way across the screen as you could in MK9, so you’ll have to find other ways of getting around. 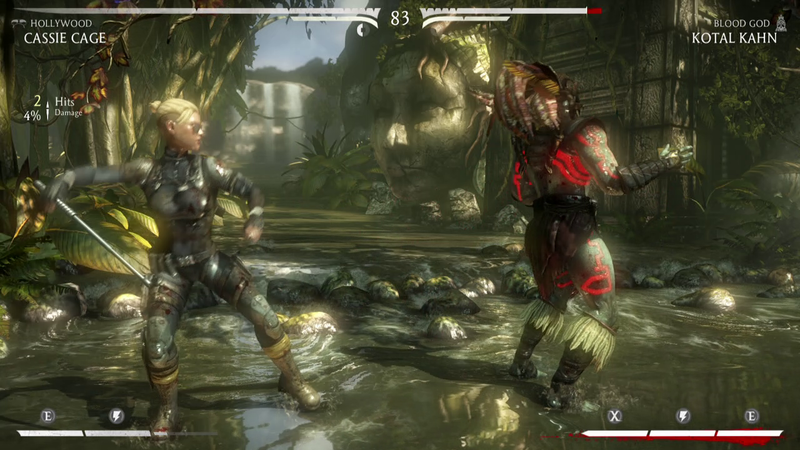 New to Mortal Kombat X are stage interactions. There are spots on the stage where you can grab an item and throw it at your opponent, or hop off the wall to get out of the corner. It adds a nice bit of variety to a fight, but I never found that it made the game feel unbalanced. The end result of all of this fettering is a game that feels more fluid and natural to play. Mortal Kombat’s trademark violence and gore is still present and accounted for in MKX. The X-Ray super moves will make your teeth hurt with how vicious they are. The Fatalities on the other hand, those walk the line between horrifying and hilarious. Cassie Cage’s Selfie Fatality for instance will first shock you, and then make you think, “No, she didn’t just do that?” And that is the case for the majority of the cast’s finishers. After you have been playing the game for a while though, you start to notice that the devil really is in the details. From the pre-match quips of the fighters to the way Fatalities change their camera angles from match to match. It shows that there was a lot of attention paid to every detail, even the seemingly insignificant ones. 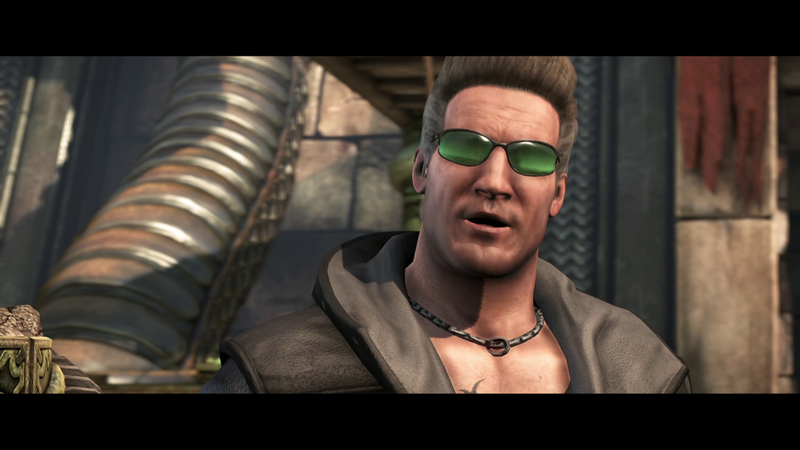 Mortal Kombat X includes a number of new characters as well as some old favorites. Everyone on the roster has had their moveset refined and retooled. The new characters have a lot to live up to, but NetherRealm has managed a feat in creating a new generation of iconic characters. Cassie Cage, Kung Jin, Takeda will be the new faces of Mortal Kombat going forwards. They all play well with distinct fighting styles, and they have personality. It’s a difficult trick that NetherRealm managed. My only real gripe with Mortal Kombat X is the Easy Fatality system. I am not sure why this is even in the game? You can obtain tokens via the Krypt or through a store purchase and then use those tokens to make fatalities as easy as holding RT and pressing a face button. This feels like something that someone from marketing made them put in to eek out an extra bit of revenue. It’s optional, and pointless, and just rubs me the wrong way. That’s not enough to keep me from recommending Mortal Kombat X to any fan of fighting games. 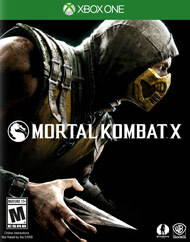 Mortal Kombat has been a series that has gone into the dumps but managed to pull itself out again. As of Mortal Kombat X, it’s back to prime form. A retail copy was purchased for the Xbox One. Roughly 20 hours of play time was spent throughout the single and online modes. Story Mode was completed to 100%.